A high performance monograde crankcase oil designed for small petrol and diesel engines. Coloured red for identification. 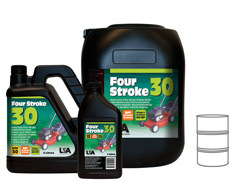 Recommended for four stroke petrol lawn mower engines, including Briggs & Stratton motors and diesel stationary motors.